The International Standard on Assurance Engagements (ISAE 3402) is the international testing standard that assesses the effectiveness of internal control systems (IKS) of service providing organizations. The standard was created by the International Auditing and Assurance Standards Board (IAASB) as a successor to the SAS 70 Standard. Up until 2011 Fabasoft was tested according to the AICPAs reporting standard SAS 70 Type 2, afterwards according to ISAE. 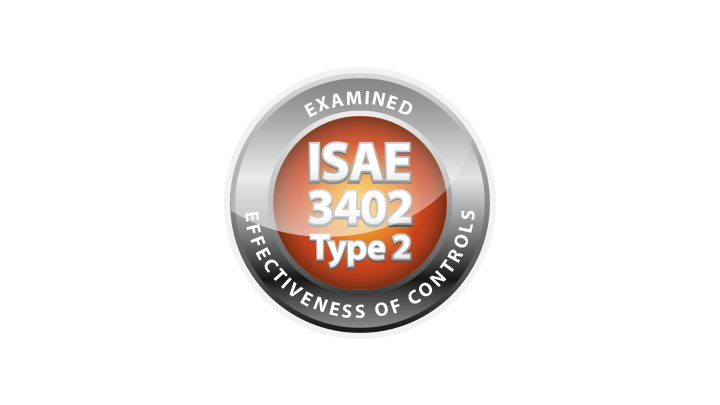 ISAE 3402 aims to extensively test an organizations internal control system and to rate its effectiveness in detail. The testing takes place over a six month period. The ISAE 3402 test report contains the opinion of an external test company on the control procedure at the service provider, a description of the control points, the test methods and controls, information about the test period and a statement about the effectiveness of the controls.